Tonight's special guest is Svava Brooks from Aurora, Oregon, a returning NAASCA family member who'll be joined by Erica Glessing. Erica's from the San Francisco area. Together they have co-authoring a just released book, "Dawn of a New Day: Breaking Up with Abuse," with 20 other survivors of domestic violence and trauma. Svava says they hope other survivors will gain inspiration from the stories in the book. 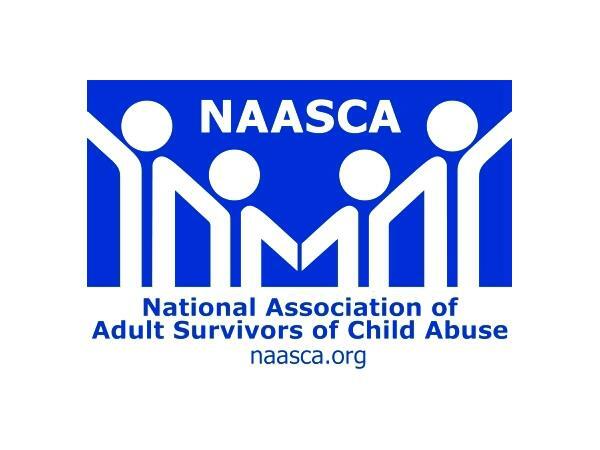 Svava is a survivor of child sexual abuse and the co-founder of a nationwide child sexual abuse prevention and education organization in Iceland called “Blátt áfram.” She's also a certified instructor and facilitator for Darkness to Light Stewards of Children, as well as a certified Crisis Intervention Specialist, and an Abuse Survivor Coach. Erica Glessing believes when you tell your story, you change the world. The CEO of Happy Publishing, Erica is a master of happiness and creative expression. She has generated #1 bestselling status for more than 175 authors since January 2015, and runs the company Happy Publishing to give light-bringers a bigger voice on the planet. Erica is no stranger to abuse. Her story about leaving an abusive husband is not easy to tell. "I'm sharing my story because sometimes abuse hides under the covers of control, anger and manipulation," she says. "The bruises are not always visible. I broke up with abuse, and it wasn't easy." The brave raw courage of the internationally bestselling authors featured in "Dawn of a New Day: Breaking Up with Abuse" will give you strength. Ask new questions today, ask for new choices. What if the impossible was possible?